Quite a homesite! Mixed land with crop land and woods on a town maintained road. Currently utilized as an ag exemption. 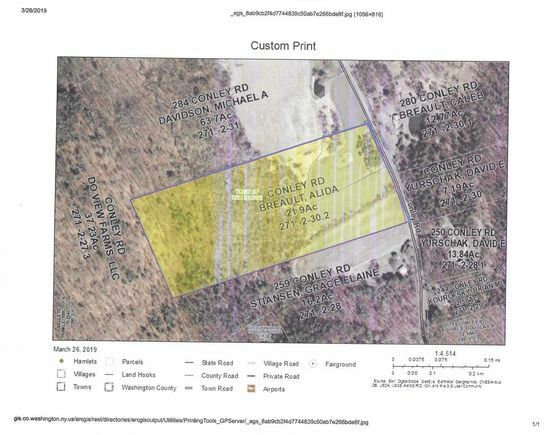 The details on 000 CONLEY RD: This land located in Cambridge, NY 12816-0000 is currently for sale for $49,000. 000 CONLEY RD is a – square foot land with – beds and – baths that has been on Estately for 8 days. This land is in the attendance area of Cambridge Elementary School and Cambridge Junior Senior High School. This listing courtesy of Barkley Real Estate, 518-692-8263.